9 + 6 = Required Please enter the correct value. Futures for the Dow Jones Industrial Average (Friday) forecast a 101-point gain after the Bank of Japan surprised global markets by announcing its intentions to cut interest rates below zero. Investors are waiting for the U.S. Commerce Department to announce its first estimate of GDP in the fourth quarter. Economists anticipate Q4 GDP increased by just 0.8%. Yesterday, the Dow Jones Industrial Average gained 125 points on optimism that Russia is aiming to work with leaders of OPEC to reduce global production and prevent oil prices from sliding further. The Stock Market Today: Traders will look to the U.S. Commerce Department when the agency releases its first estimate of fourth-quarter GDP. Yesterday, the U.S. Federal Reserve announced the global economy experienced a downturn over the last month of 2015, fueled by a decline in consumer spending and weak holiday shopping sales. In addition, pay attention to a speech by San Francisco Federal Reserve Bank President John Williams, who will offer his economic outlook for 2016. Saudi Oil Saviors: Crude oil prices were on the rise after Russian Energy Minister Alexander Novak announced Saudi Arabia has proposed a 5% cut in production around the world. Given the critical role that oil plays in the social budgets of oil exporting nations like Russia and Saudi Arabia, nations are eager to find a bottom in crude oil prices, which finished their first three-day win streak of 2016. WTI crude oil gained 0.8% to hit $33.50 per barrel. Meanwhile, Brent crude rose 0.6% to hit $34.08 per barrel. Earnings Report No. 1, MA: Before the bell, Mastercard Inc. (NYSE: MA) will report fiscal fourth-quarter earnings. Wall Street anticipates that the credit-card giant will report per-share earnings of $0.69 on top of $2.548 billion in revenue. Earnings Report No. 2, CVX: Shares of Chevron Corp. (NYSE: CVX) are in focus after the global energy giant announced its fiscal fourth-quarter earnings. Consensus expectations call for EPS of $0.48 on $28.756 billion in revenue. Additional companies reporting quarterly earnings include Honeywell International Inc. (NYSE: HON), American Airlines Group Inc. (Nasdaq: AAL), Colgate-Palmolive Co. (NYSE: CL), Whirlpool Corp. (NYSE: WHR), and AbbVie Inc. (NYSE: ABBV). Stocks to Watch No. 1, MO: Shares of Altria Group Inc. (NYSE: MO) are in focus after the tobacco giant announced plans to slash roughly 5% of its employees as the company aims to reduce annual costs by roughly $300 million. Stocks to Watch No. 2, AMZN: Shares of Amazon.com Inc. (Nasdaq: AMZN) slumped more than 13% after the global retail giant reported weaker than expected fourth-quarter earnings. The firm cited a big miss on operating costs and that growth in its cloud services business has cooled. Stocks to Watch No. 3, XRX: Shares of Xerox Corp. (NYSE: XRX) will split into two companies — hardware operations and its services business. The announcement will provide activist investor Carl Icahn three board seats on one of these companies. Icahn owns a 7.1% stake in the printer and copier giant. However, Xerox CEO Ursela Burns said that Icahn had nothing to do with the company's decision to split into two firms. Stocks to Watch No. 4, UA: Shares of Under Armour Inc. (NYSE: UA) were down marginally after Thursday's remarkable one-day performance. UA stock surged more than 22.5% after the company crushed fourth-quarter earnings reports. The Baltimore-based apparel company announced strong top- and bottom-line results and issued a very strong forward guidance statement. The firm cited remarkable growth in its footwear sales, fueled by the success of NBA star Stephen Curry's basketball shoe line. 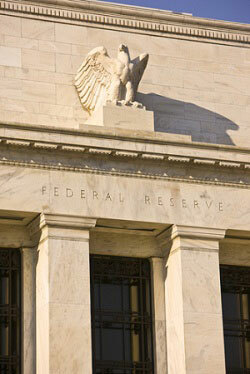 San Francisco Federal Reserve Bank President John Williams speaks at 2:45 p.m.